When it comes to driving, speed is not everything. But on the web, speed makes all the difference. The faster your application, the better the user experience. Well, this article is on PHP Generators, so why are we talking about speed? As you are soon about to find out, generators make a huge difference on speed and memory management. Added to PHP in version 5.5, generators are functions that provide a simple way to loop through data without the need to build an array in memory. Still a bit confused? An example is a good way to show generators in action. 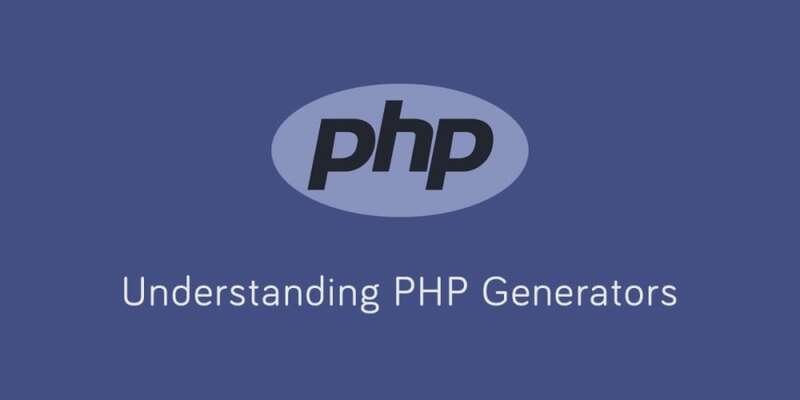 First, let&apos;s quickly create a generator.php file that we will use throughout this tutorial. After creating the file, we add this little code snippet. So if we go to http://localhost:8000/generator.php, we should get something like this. Now, the upper range(max) of generated numbers is PHP_INT_MAX, which is the largest number that your version of PHP can reach. After doing this, head over to the browser and refresh. But this time, you&apos;ll notice something different. The generator script throws a warning error. Well, that&apos;s a shame, PHP ran out of memory. Possible solutions that come to mind include going into php.ini and increasing memory_limit. Let&apos;s ask ourselves these questions, is this really effective? Do we want a single script to hog all our server&apos;s memory? The answers are no and no. This is not effective, and we do not want a single script to use up all our memory. Let&apos;s define the same function above, call it with the same value PHP_INT_MAX and run it again. But, this time, we will be creating a generator function. Dissecting the getRange function, this time, we only loop through the values and yield an output. yield is similar to return as it returns a value from a function, but the only difference is that yield returns a value only when it is needed and does not try to keep the entire dataset in memory. If you head over to your browser, you should see data being displayed on the page. Given the appropriate time, the browser eventually displays the data. Note: Generators can only be used from a function. There are times when we might want to parse a large dataset (it can be log files), perform computation on a large database result, etc. We don&apos;t want actions like this hogging all the memory. We should try to conserve memory as much as possible. The data doesn&apos;t necessarily need to be large — generators are effective no matter how small a dataset is. Don&apos;t forget, our aim is speed while using less memory. There are times when our data only make sense when they are key-value based. When using generators, we can yield key-value pairs like this. We can then go ahead and use the pair as we would do with any array like this. Generators can also take in values. This means that generators allow us to inject values into them, maybe as a command or something. For example, we can send a value to our generator telling to stop execution or change the output. Using the getRange function above, we can do this. To send inject this value, we can do this. NOTE: Using return in a generator breaks out of the generator function. Generators are supposed to be memory efficient. This doesn&apos;t mean that they won&apos;t cause the same problem they are trying to solve if misused. Generators offer a significant performance boost that we cannot deny. Most times we don&apos;t need to have powerful servers to handle our code. We just need to do a little refactoring. Generators are useful and we ought to use them more often than not.